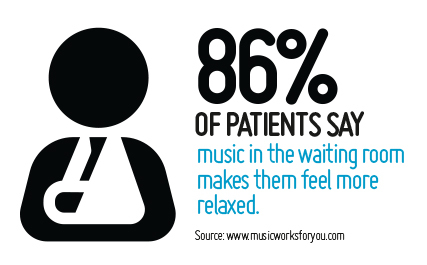 Music used in salons, waiting rooms and other small businesses helps create a more relaxed and welcoming atmosphere for customers. Taking out a Dual Music Licence from IMRO for the use of music in your premises ensures that you can legally use our vast repertoire of music to create a more positive experience for your customers and staff. You will require a Dual Music Licence from IMRO if you use copyright music in your beauty salon, barbers or waiting room via a radio, TV, recorded music device or online streaming platform. A Dual Music Licence applies to performances of copyright music within the repertoire controlled by IMRO & PPI.